How to do an English vacation like the Royal Family? First step: give yourself permission to treat yourself. You’re on vacation! Next up: choose an itinerary. We’ve rounded up some easy-to-reach locations in England and Scotland by train that are not only beautiful and great for the whole family, but also very important sites for the Royal Family. Buckingham Palace: the Queen’s official London residence with over 700 rooms, and one of the only working palaces still around today. You can watch the Changing of the Guard all year round and enjoy a visit of the State rooms during the summertime. The Royal Mews: Located at Buckingham Palace, the Mews is home to a collection of the Royal Family’s carriages (including a gold one from 2002). The Tower of London: The Tower is famous for a lot of things — some of them not so great — but today it’s home to the Crown Jewels! Westminster Abbey: Once again, this building is known for many things, but in 2011 it played host to another Royal Wedding — Prince William and Kate Middleton! Windsor Castle: The site of the 2018 Royal Wedding between Prince Harry and Meghan Markle! After the royal treatment in London, you may want a bit of relaxation and quieter surroundings. Hop on a Virgin train to nearby York, which is only about 2 hours away. If you leave late morning, you’ll arrive with plenty of time for the classic English afternoon tea, with many quaint little teahouses and cafes to choose from across the city. After that, you’ll be ready to hit up some attractions — it’s said that York has more visitor attractions per square mile than any other UK city. 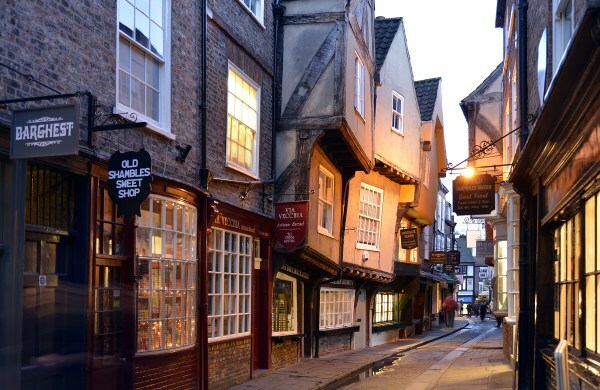 Wander down The Shambles, a historic street that was once lined with butcher shops but now has some of the best shopping and cafes in the city. The street is so narrow in parts that you can sometimes touch the buildings on either side just by stretching out your arms! After York, it’s back on the train and onwards to Edinburgh! 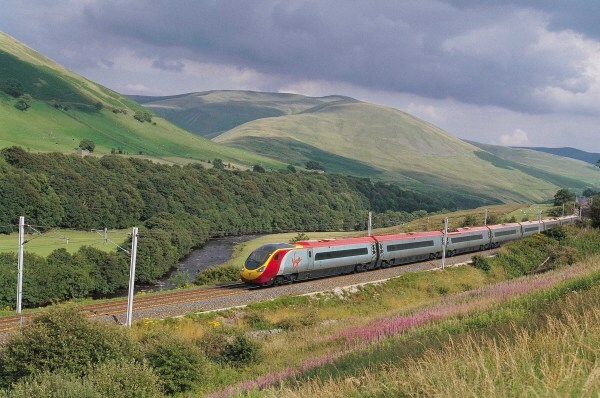 Virgin East Coast trains will get you from York to Edinburgh in under 3 hours. Edinburgh is known as being the birthplace of a few fictional characters who are probably just as famous as the Royal Family themselves (a few wizards named Harry, Ron, and Hermione — you might have heard of them? ), but the city also has many attractions that are still owned and/or frequented by the Royals. And as many of you know, it’s also an important place for the Royal Family because of the Queen’s husband, Prince Phillip, Duke of Edinburgh. Holyroodhouse & Park: This is the Queen’s official residence in Scotland and it dates back to the 17th century. Surrounding the palace is Holyrood Park, also called Queen’s Park, a stunning area of land that contains little lakes, hills, and other typical highland scenery. 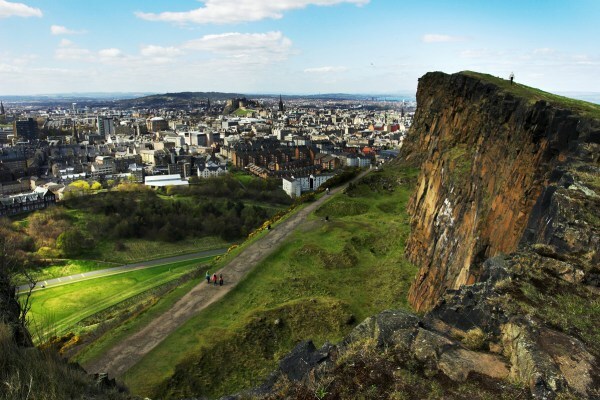 It’s also home to Arthur’s Seat, the highest point in Edinburgh and a popular afternoon hike for visitors. The Royal Yacht Brittanica: This is probably one of the most exciting royal residencies — because it’s a ship! It served for 40 years as the Queen’s royal home away from home and now rests permanently in Edinburgh, where visitors can explore it almost every day of the year. St Giles: A medieval church dating from about 1125. Various members of the Royal Family have visited, including the Queen right after her Coronation in 1953, during which time she was presented with the Scottish crown jewels to mark the occasion (they are still housed in Edinburgh however, at the Edinburgh Castle). If you’re planning to visit these sites and more in Edinburgh, try a hop on, hop off sightseeing tour. It will save some time and money, and also let you hop back on the bus just in case the notoriously unpredictable weather turns a bit rainy for an hour! Where would you want the train to take you?